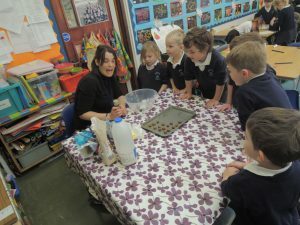 Reception class were very lucky to be visited by Elliot’s mummy Nienke. The whole class were really engaged by what she had to say and made great links to their own CHristmas traditions. We learned how Sinterklaas arrives on a steamboat with a horse and how he leaves chocolate letters for the children. Elliot sang to us in Dutch which was wonderful. 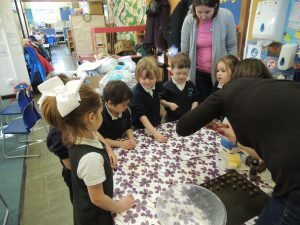 Then, the children worked in groups to make pepernoten – a delicious spiced biscuit. 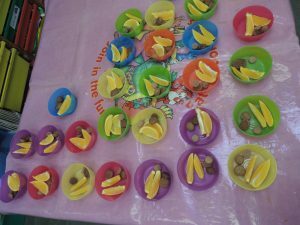 We enjoyed this at snacktime. Thank you to Nienke for her time and efforts. We really appreciate it.